Two mounting threads - side and bottom. Box Dimensions (LxWxH) 5.45 x 5.0 x 1.75"
LitraPro Bi-Color On-Camera Light with Dome Diffuser, Shoe Mount & USB Cable is rated 4.3 out of 5 by 6. Rated 2 out of 5 by Tommy from Good light but... Super bright and powerful. Omits accurate bi color lighting. My issue is the battery life, even when using it with a power bank to extend the life the battery, it shuts off and or dims at 50%. Built in battery lasts around 40 minutes at 100% Another major issue is when lighting continuously, the light gets HOT. VERY HOT. You will need to wear gloves when handling it and have to wait for it to cool down before putting back in your bag. I wanted to like to like this light but going to return it. Was looking for a small setup. The search continues. Rated 4 out of 5 by Matthew from Very useful, but not perfectq I just ordered three of these, hoping for an ultra-portable three-light interview configuration for use with a full-frame DSLR and a fast lens. In other words, I dont need television studio levels of illumination due to the large sensor/fast lens combo. These are extraordinarily well made. They feel like theyre carved out of a single block of aluminum. I had studied the product carefully before ordering, and I was still surprised by just how small they are. Theyre half the size of a deck of cards! The light output is definitely not adequate to illuminate a completely light controlled studio environment. But given their color temperature flexibility, they work great as fill lights that can easily be matched to the daylight temperature of light coming through a window or to the warmer color temperature of incandescent lights in the room. It does appear that my primary objective will be met: having a ridiculously light road setup that works well with the cheapest, lightest light stands and lights that are virtually indestructible. The smartphone app is great in theory, but super buggy on my current model Android device. I could never reliably get all of the lights to work with the app, and the bluetooth latence meant that I thought the lights werent responding when there was just a delay. Hopefully that gets fixed in later versions. Rated 5 out of 5 by Judith from Bright and Efficient Nice little light. Gives off plenty of brightness. Rated 5 out of 5 by Kendall from Very bright but small and durable Great and sturdy light. How bright is this light compared with the lume cube? When you compare Litra to LumeCube, you will notice a few things. LumeCube claims 1,500 lumen. They fall a little short of that but they do have a brighter claim as they have a strong center hot spot. 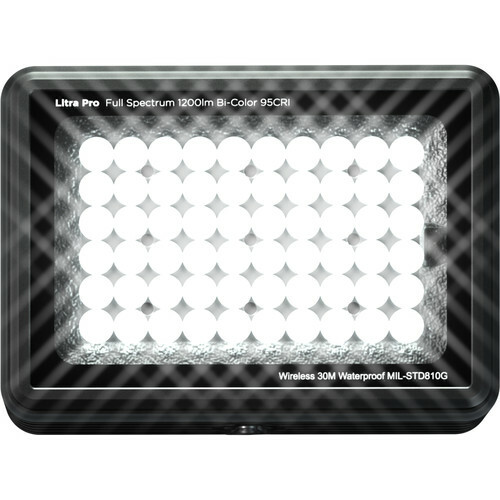 Litra is 800 lumen of smooth even light. No center hot spot, no harsh edges. Next,comparing the two, the color temperature of the LumeCube is very blue (cool) in the 7,000k range. The LitraTorch is corrected to 5,700k, which is daylight balanced. Finally, CRI. 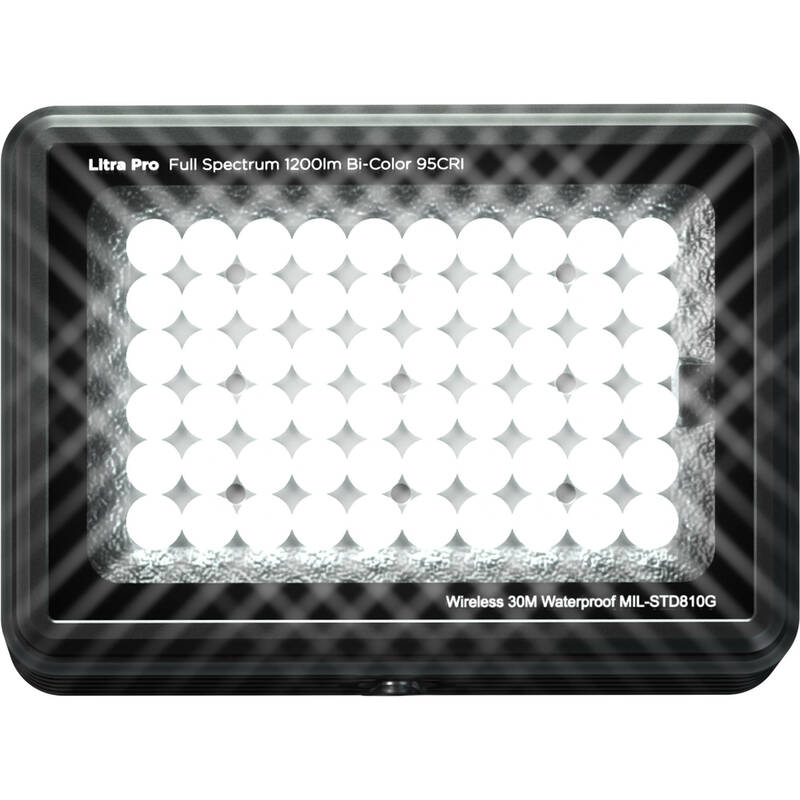 The LitraTorch 2.0 is 94 CRI, meaning it has better color balance so the brilliance of colors will be more visible. If you want brightness along, the LumeCube is brighter. If you want an all around usable light, the LitraTorch 2.0 wins all comparisons.